The decision to join J-Schools Canada / Écoles J comes at a time when Canadian journalism from coast to coast to coast faces enormous challenges and journalism students and educators are in need of new tools to address them. The Digital Journalism program at uOttawa is committed to contributing to a robust national organization whose mission is to promote the study and practice of, and reflection on, journalism education in Canada and beyond. 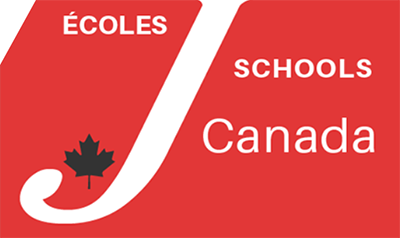 J-Schools Canada / Écoles J is the Canadian affiliate of the World Journalism Education Council (WJEC). As part of its mandate, J-Schools Canada / Écoles J will now publish J-Source, a well-respected and invaluable resource that has been used by journalism students, educators and researchers across the country for over a decade. It will also support scholarly work by the Canadian Communication Association’s Journalism Interest Group. The University of Ottawa joins the roster of postsecondary journalism programs who are early supporters of the new J-Schools Canada / Écoles J. The Digital Journalism program at uOttawa is offered in English and in French in conjunction with Algonquin College and La Cité. In this unique program, students receive a college journalism diploma as well as an Honours Bachelor in Digital Journalism degree from uOttawa. The University is expected to approve a reduction in the program length from the current four and a half years to four, effective in fall 2019. The Digital Journalism program at uOttawa is committed to excellence in journalism education in both of Canada’s official languages. It has been a leading member of the largest international network of journalism schools in the French-speaking world, the Réseau Théophraste. Through this network, the program is participating in the scientific and educational programming of the fifth WJEC World Congress, to be held in Paris in July 2019, in close collaboration with the Institut pratique du journalisme of Paris-Dauphine University.